Located in Burlington, WA between Mount Vernon, WA and Sedro-Woolley, WA. A hidden gem in the Skagit Valley Triumph Tattoo was established in 2006 by Carla Campos and Jason Kunz, our shop is one hour from both Seattle and Vancouver, BC. 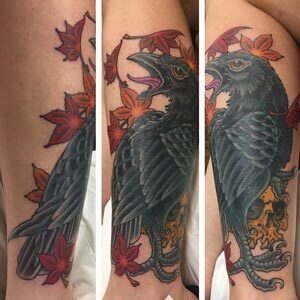 Our friendly, talented and highly motivated artists specialize in many styles including Japanese, American traditional, black and grey, custom original designs as well as cover-ups and re-working existing tattoos. 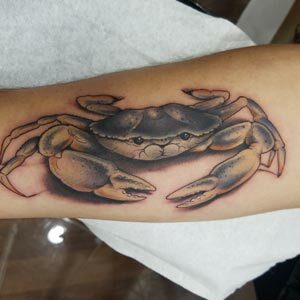 Whether your design or ours, our expert tattooers work hard seven days a week to turn out the best tattoos around, and our very loyal customer base is a testament to this. Find our latest news and updates on our BLOG. Availabilities outside of business hours by appointment only. Contact us with questions! There are many variables that go into pricing a tattoo including size, detail, and placement. 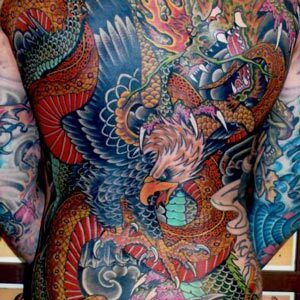 We price by the piece for one-sitting tattoos and hourly for large multi-session tattoos such as sleeves or back-pieces. One sitting, smaller tattoos: Priced by the piece plus WA state sales tax. Hourly Rates for large tattoos such as sleeves and backpieces: $125 per hour, plus WA state sales tax. Finger & Hand tattoos start at $80-$100 plus WA state sales tax. Reworks and cover-ups: $125-$150 per hour, plus WA state sales tax. Please stop by the shop for a price quote or e-mail us at triumphtattoo6@gmail.com. Walk-ins are welcome and we do our best to fit them in but availability depends on our artist’s schedule for the day and what you are looking to have done. The only way to guarantee a spot is to set up an appointment ahead of time. appointments we take a $60, $100, or $200 deposit based off the size of your tattoo. Deposits are non-refundable and come off the price of the tattoo. If your tattoo takes more than one session to complete the deposit comes off the cost of the final session. Deposits are forfeited if you cancel, no-show for your appointment or give less than 24 hours-notice when rescheduling. If you need to reschedule please give at-least 24 hours-notice and we can carry the deposit over to your new appointment date. Active Duty Military and Veterans: 10% off with Military ID. Canadian Customers: 5% off with current Canadian ID. Please present us with ID for discount when you do your paperwork. If you're e-mailing during business hours expect a prompt reply. If you haven't received one, please call us to ensure that your e-mail hasn't been lost in the vast world that is the internet. If you are contacting us via our contact form, an image cannot be directly attached, but you will be able to attach an image to our reply e-mail.